How cities are marketed as business and innovation ecosystems? This was the main theme of the URBACT IN FOCUS Transnational Workshop held in Grenoble from February 7 to 9, 2018, where we had the opportunity to discuss on marketing the city as a business location, with a central question to discuss: How to take advantage from the concept of smart specialisation to improve and give more direction when branding and communicating the city as a business environment and innovation ecosystem. City branding is to build up and communicate competitive local identities, as a condition to increase attractiveness in a hyper-connected and noisy world. Differentiation and uniqueness are key aspects to promote better visibility and a clearer positioning. And real uniqueness usually emerges by crossing/connecting different assets (specialisations or priority domains included), not just by merely identifying them. It is the resulting crossover what often produces distinctiveness. This fits quite well with the S3’s idea of prioritising domains, areas and economic activities where regions or cities have a competitive advantage. By focusing on what gives a region or city its greatest competitive potential, smart specialisation helps to position the region/city in specific global markets/niches and international value chains. In this meeting, the 10 members of the IN FOCUS project explored how cities can attract investment and knowledge with a special focus on how to take advantage of smart specialisation to enhance and give more direction at branding and communicating the city as business location. 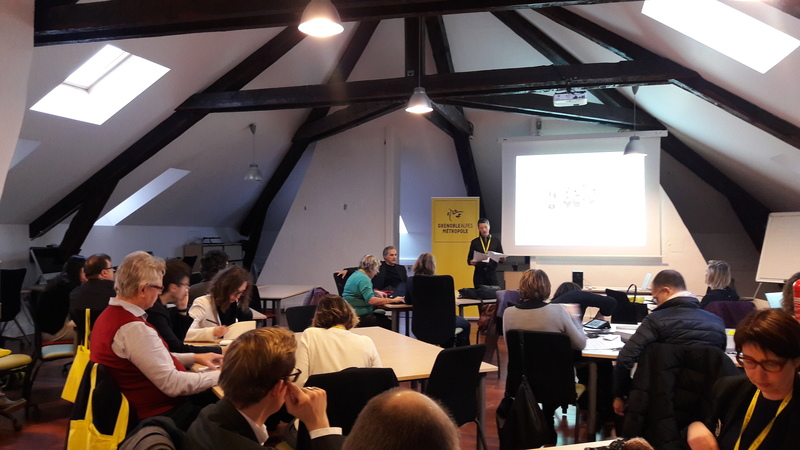 The workshop in Grenoble has been a great opportunity to exchange ideas on how these cities are promoted as good places to live, work and invest. 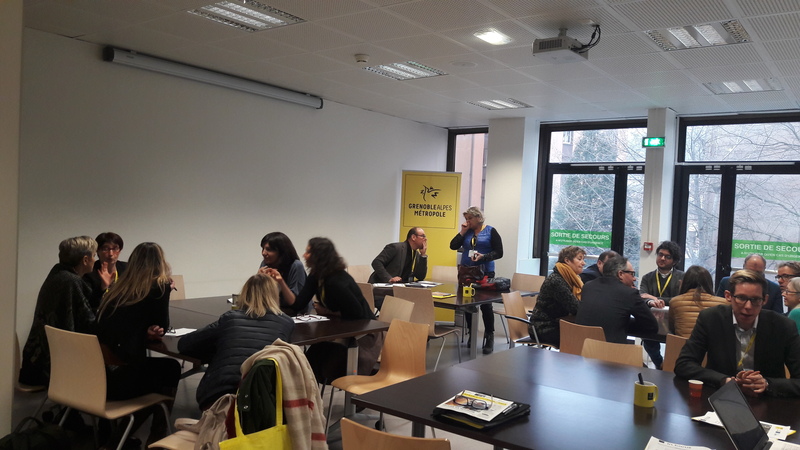 During this 3-day workshop, we learned from several inspiring case studies such as the Magnetic Bordeaux strategy, the FrankfurtRheinMain GmbH inward investment agency, Porto Tech Hub, Greater Zurich Area AG, Be Basque Talent Network and Grenoble´s GIANT innovation campus. These are just some examples of the sound initiatives most In FOCUS partners are launching to brand and market themselves internationally. For example, improving the attractiveness and visibility of Porto in the global sphere was one of the main priorities of Mayor Rui Moreira, who established Invest Porto in 2014 as a small and agile team to spread the value proposition of Porto around the world. "Magnetic Bordeaux / Bordeaux Magnétique", the collaborative brand launched in 2016 within the economic and tourist attractiveness strategy of Bordeaux Métropole. Frankfurt took a big step towards attracting investments by organizing this work so that the same team and strategy will serve the entire metropolitan region, an area of ​​5.8 million that spans three different Länders and includes other major cities such as Wiesbaden and Darmstadt. Ostrava, in the Czech Republic, is trying to build an ambitious strategy on attracting talent, aimed at skilled labor, researchers, students and creative people. We have also learned that the brand management of the city is increasingly a matter of curating and providing common ground to the different stories and communication capabilities of a number of local stakeholders. City branding is therefore (or should be) an organizational challenge; a matter of stakeholder mobilisation and alignment, and that perfectly suits to the “entrepreneurial discovery” way of doing. For instance, Porto Tech Hub (PTH), a not-for-profit association of tech companies, aims to promote and grow Porto as a global technological centre of excellence. The association was created by three well-established tech companies, each one with strong connections to Porto. The goal of PTH was to develop and grow the city’s thriving tech scene to capture the imagination of the many talented individuals that the city plays host to, bringing businesses and people together to celebrate the power of technology. The Be Basque Talent network, supported by the Provincial Council of Bizkaia, is a non-profit organisation that fosters and facilitates the implementation of the necessary conditions for attracting, connecting and retaining in Bizkaia (Biscay) highly qualified people in the areas of knowledge and innovation. This network brings professionals working all over the world in contact with other professionals and companies so as to facilitate talent movement and build contacts and business relationships with all those who have had, have or want to have a relationship with the Basque Country. In Grenoble, at the heart of the French Alps, the GIANT (Grenoble Innovation for Advanced New Technologies) partnership is forging dynamic new links between research, higher education and industry to foster the technological breakthroughs of the future. GIANT gathers under a single banner eight international institutions and hosts highly innovative institutions from the academic world, major French research institutions, and leading European laboratories. In this workshop, we also focused on the mix of communication channels and actions cities are using to spread key messages and get in touch with target groups. Every city should make a (dynamic) choice in this respect, most likely including all-time formulas, but now duly reviewed (advertising and PR, ambassador networks, marketing suites, newslettering...), together with others from a broader conception of what communication action can be. In Grenoble we had the opportunity to know in more detail the case of Zurich. Sonja Wollkopf Walt, CEO of Greater Zurich Area AG, explained how they are promoting Greater Zurich internationally as a business hub, building a strong brand as a value creator for the Greater Zurich Area.